In over a decade of researching and writing about home security systems, we’ve learned the perfect home security system for one person could be completely wrong for someone else. That’s why our home security reviews dig into what each company is best at. With that info you can find a system that’s tailored to your needs, whether you want cheap monthly monitoring, the latest home automation gear, or a system with no contract. Keep reading for help finding a home security system that’s right for you. We love that Vivint prioritizes home automation. Security is crucial in a crisis, but smart home equipment comes in handy every single day, whether you’re concerned about safety or convenience. You can check to be sure your doors are locked, tweak the temperature while you’re out of town, or turn on the lights in your entryway so no one trips. 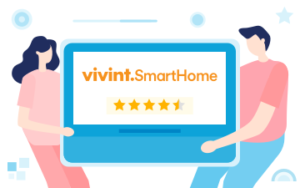 Vivint has always offered quality equipment and reliable monitoring, but the company’s recent dedication to offering customers more options has earned it a new spot at the top of our list. How did Vivint get here? Vivint offers industry-leading equipment and home automation integration. It introduced flexible payment options so you can get security without a contract. It offers a lower-tier plan that is more affordable than competitors’ cheapest plans. Vivint’s least expensive plan gives customers mobile access to systems—a feature usually reserved for higher-tier packages. Vivint customers are happier than they’ve been in the past. We’ve noticed a significant increase in positive online reviews. Price: We look for companies that offer reasonably priced plans with practical features, and we put more weight on monthly costs, because that adds up. We also compare installation fees, activation fees, and equipment costs. Customer service: We consider hours of availability and customer reviews, but we also appreciate companies that give customers multiple contact methods. We also consider equipment warranties, cancellation policies, and contract requirements when evaluating a company’s customer service. Equipment and features: A home security system should include dependable, user-friendly equipment. We also put a lot of weight on home automation integration and easy mobile access to systems. Equipment appearance isn’t a priority, but stylish equipment is certainly a bonus. Vivint is our top pick because you get easy home automation integration, unique high-end equipment, and flexible payment options. And surprisingly enough, Vivint now offers cheaper monitoring than many competitors. Our favorite thing about Vivint is the affordable home automation integration that has practical everyday uses. Vivint’s midlevel plan supports smart home devices like thermostats, garage door controllers, and automatic door locks. You can make sure your house stays cooler while you’re gone, let friends into your home while you’re out of town, or check to be sure your garage door is closed from the office. We’re also fans of Vivint’s efforts to adapt and improve. While other companies have settled for the status quo, Vivint has stayed up to date with smart home tech, added lower-priced, pared-down plans for customers who need fewer features, and introduced contract-free options for customers who buy equipment up front. Vivint isn’t known for low prices—and the equipment is still on the pricey end—but Vivint recently added a base plan that’s cheaper than those of most competitors. In fact, at $29.99 a month, Vivint’s base plan is one of the cheapest ways to get security monitoring that comes with mobile access. Vivint’s customer service team is available 24/7, and you can contact them over the phone or through online chat. We’ve also noticed that current Vivint customers are leaving more positive reviews than they have in the past. When it comes to equipment, Vivint is ahead of everyone else. Most security companies use third-party equipment, but Vivint designs and manufactures some of its own equipment. 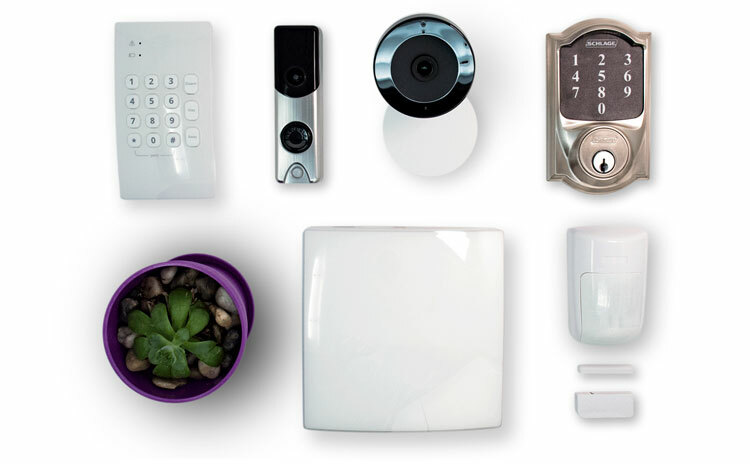 Depending on your plan, you can get a unique Vivint doorbell camera, smart thermostat, a data storage drive, or security cameras. Vivint even offers recessed door sensors that work when normal door sensors won’t. Plus, if you sign up for premium service, you get a lifetime equipment warranty on all that cool gear. Frontpoint’s biggest selling point is its remarkably easy DIY installation. Instead of blocking out a whole day to wait for a professional installer, you can set up your system on your own schedule. Your equipment comes preprogrammed and you can install most of it by peeling and sticking, which means you’ll only have to spend about 20 minutes setting it up. And if you do run into questions, customer support is always ready to take your call and walk you through any issues. Another perk of choosing Frontpoint is the lower up-front costs. 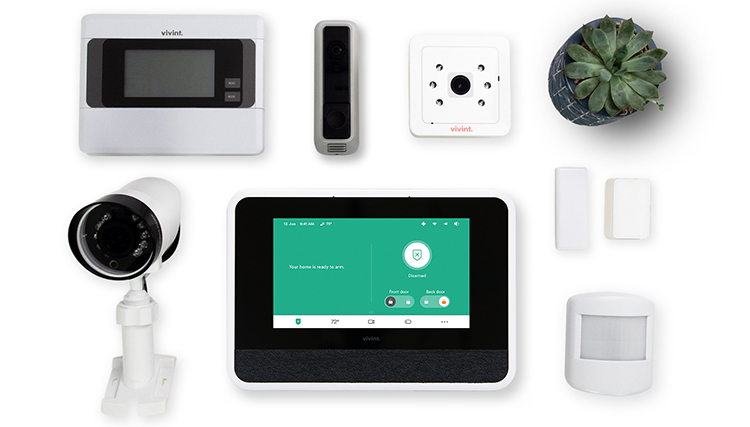 Frontpoint provides a discount on equipment when you sign up, so you can often get everything you need for a Frontpoint home security system at a lower price than a comparable system from Vivint. Plus, Vivint customers who don’t pay for all the equipment up front have to sign a lengthy 42- or 60-month contract. Frontpoint contracts are only 36 months. Frontpoint’s prices are right in line with the rest of the industry—not particularly pricey, but not the most affordable option. Customer service is Frontpoint’s forte. While the company doesn’t offer quite as many hours of customer support, it has a fantastic reputation with lots of vocal, happy customers. In fact, many customers stay with Frontpoint after their three-year contracts end. Frontpoint recently added a sleek security hub that learns your day-to-day patterns and adjusts accordingly. Most other security systems come with hubs, but a learning security hub is unique. And since your equipment comes preprogrammed, you can pair it with the hub and control it through one app. It’s also easy to add third-party smart home devices. Most of those can still be controlled through your Frontpoint app so you don’t have to open five or six different apps to use your cool smart home tech with your security system. ADT offers decades of industry experience, high-quality equipment, dependable monitoring, and accessible customer service. Plus, ADT may be the most well-known security company in the industry—and that has its advantages. Since ADT is so widely recognized and respected, a visible ADT system in your home can go a long way toward discouraging theft and vandalism. Steep prices are ADT’s major drawback. If you’re looking for features like mobile access, smart home integration, and video monitoring, you’ll pay more for them with ADT than you would with Vivint or Frontpoint. One important exception: ADT has a landline monitoring plan that’s only $27.99 per month, which could be an affordable option for customers in rural areas. We recommend cellular systems because they’re much more secure than landline systems, but there are some places where cellular monitoring isn’t available. If you live somewhere without access to cellular monitoring, a landline system is still much better than no security at all. ADT has backup monitoring stations and a 24/7 customer service team you can contact through email, chat, or phone, which is more support than you get from most other security companies. ADT also has a more lenient cancellation policy than Vivint or Frontpoint. ADT uses regional installers to provide hands-on support throughout the country. We recommended Protect Your Home, an installer that can often provide same-day or next-day equipment installation. During the installation, you’ll get customized security recommendations so you can be sure you get exactly what you need for your home. One thing to note: equipment availability varies from one installer to the next, so the plans offered by Protect Your Home might be slightly different than national plans. You can get a SimpliSafe home security system without a contract—making SimpliSafe the best option if you need flexibility. SimpliSafe is a solid choice if you’re on a tight budget. You get lower-cost monitoring and less-expensive equipment than you would from most competitors. 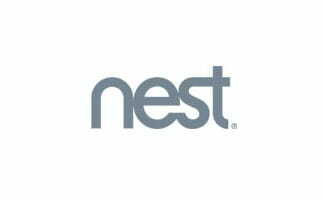 A few other companies like Nest and Abode have introduced no-contract systems, but SimpliSafe has lower prices and more industry experience, so it’s still our favorite contract-free home security system. You’ll have to buy your equipment up front. 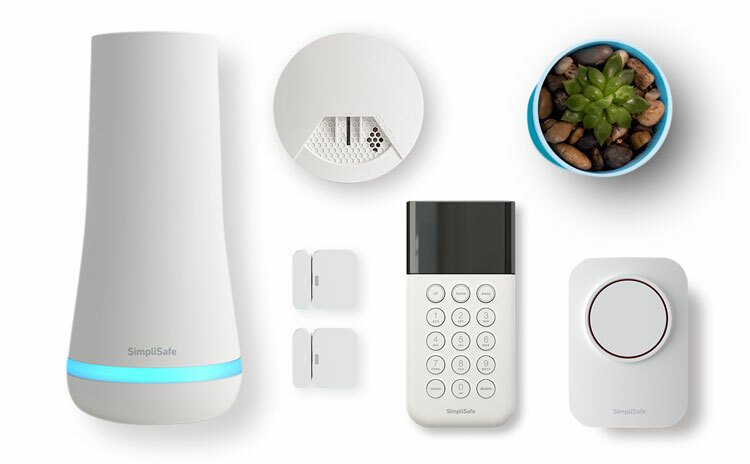 But because SimpliSafe’s highest-tier monitoring plan is cheaper than the lowest-tier plans from all the companies listed above, it’s one of the most affordable security options out there. SimpliSafe’s customer service hours are a bit limited compared to competitors, but SimpliSafe makes up for it with a bunch of other benefits. 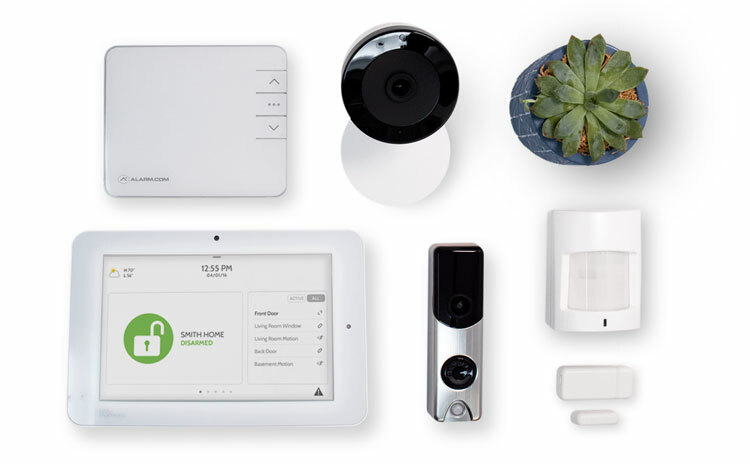 For example, as a SimpliSafe customer, you get contract-free security systems with no cancellation fees. Plus, you get the option to turn monitoring off and on from one month to the next, which is helpful if you’re on a budget or heading out of town. Equipment is where SimpliSafe falls short of the competition. SimpliSafe’s gear looks nice, works fine, and is easy to install, but it’s behind when it comes to home automation. 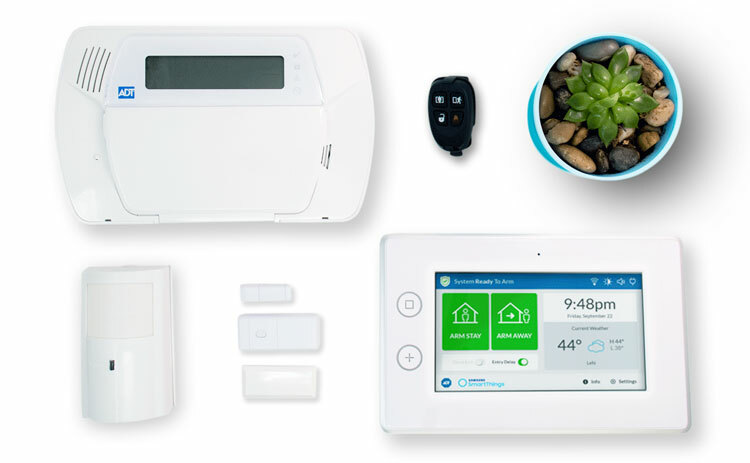 Other systems work with Z-Wave devices, but SimpliSafe systems work only with Alexa, the August door lock, and the Nest thermostat. Like the other companies on our list, Link Interactive gives you reliable equipment and 24/7 professional monitoring. In fact, Link Interactive alarm systems use some of the same equipment as Frontpoint. But while Link has a lot in common with other companies, a few things stand out—particularly the shorter contracts. Most alarm companies make you sign a three-year contract, but Link offers contracts as short as one year. Link Interactive also lets you build your own equipment packages, which means you get exactly what you need without paying for gear you won’t use. Link Interactive’s base level prices are fairly standard, but if video monitoring is a priority, Link is one of the cheapest options. You can get video monitoring from Link Interactive for $40.99 a month—most competitors charge around $50 for plans that include video. With its cheaper video monitoring and shorter contracts, you might wonder why Link Interactive isn’t higher on our list. Customer service is one of the main reasons—Link has a solid reputation, but less availability than Vivint, Frontpoint, or ADT. Like Frontpoint, Link Interactive uses easy-to-install Alarm.com equipment that’s compatible with Z-Wave smart home devices. Cellular monitoring is the most reliable form of monitoring, but it isn’t always an option in rural areas. Protect America still offers cellular monitoring, but it also offers landline and broadband monitoring so if you can’t get a cellular system you can still protect your home. You can learn more about Protect America’s home security system in our full review. Brinks plans aren’t the cheapest, but the base plan is loaded with features like mobile access and home automation support—features other companies usually reserve for higher-tier package. If you’d like to know more about Brinks security plans, check out our full review. Nest Secure is a great home security system for people who’ve already sunk money into other Nest gear. Instead of getting a separate security system, you can get one that syncs with your current equipment and uses the same app you’re already using to control your thermostat. To learn more, read our Nest Secure review. Scout offers contract-free systems and low monthly monitoring prices. Scout doesn’t offer as much equipment as other companies, which is why it isn’t higher in the list, but the equipment it does offer is some of the coolest-looking security equipment we’ve seen. If you have more questions about Scout’s home security system, check out our full review. Our favorite thing about Abode is that you can self-monitor your system for free from a mobile device. Most companies make you pay for a monthly plan before giving you remote access to your system. 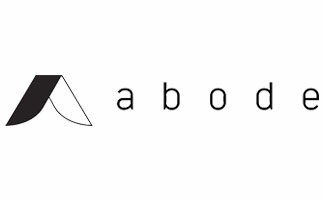 Visit our Abode review to learn more about these security plans. Monitoring: We strongly recommend professional monitoring. If an alarm goes off and no one responds to it, your security equipment isn’t doing you much good. Installation: Some companies offer professional installation while others send you equipment to install yourself. Both options are fine—it really comes down to personal preference. Most companies that offer professional installation don’t charge huge installation fees, and some companies that have you install equipment yourself still charge activation fees. Cellular or landline monitoring: Cellular systems are more secure because there are no cables for burglars to cut. But if you live in an area where cellular coverage isn’t available, a landline system is still a big improvement over no security at all. Home automation: We recommend getting a system that works well with smart home devices. Home automation integration turns a home security system that would normally just be useful in an emergency and turns it into something that has practical applications every time you leave the house. Mobile access and control: We suggest choosing a package that lets you access your system on your phone or mobile device so you can check on your home whether you’re at work or out of town. Sensors: Most home security systems include motion sensors and door or window sensors. We suggest getting motion sensors for areas in your home that could be dangerous for children or pets (the garage, the sewing room, the laundry room, etc.). It’s also smart to get enough window sensors and door sensors to cover every possible entrance to your home. Ready to choose a home security system? Now that you’ve explored your options, it’s time to pick your home security system. Here’s a quick recap of what stands out about each of our top five security companies. In our research, we also found that some states are hit harder than others. 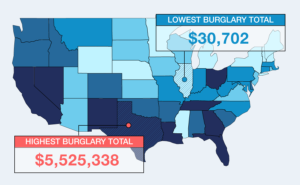 ASecureLife analyzed data from the FBI’s Uniform Crime Reporting program spanning from 2011 to 2017 (the most current data available) to determine trends in burglary and robbery over time. Best Door Locks: Will Yours Keep Burglars Out?